Your child has probably received a vision screening at school or the pediatrician’s office as part a routine visit or exam. As a parent it is important to be aware this is not a comprehensive eye exam. A vision screening is designed to check a child’s vision on an eye chart measure on a 20/20 scale. It does not check the child’s ability to focus, to follow print on a written page, or to coordinate both eyes into focus. A child can have 20/20 vision as determined by a school screening, but still have problems in other areas. 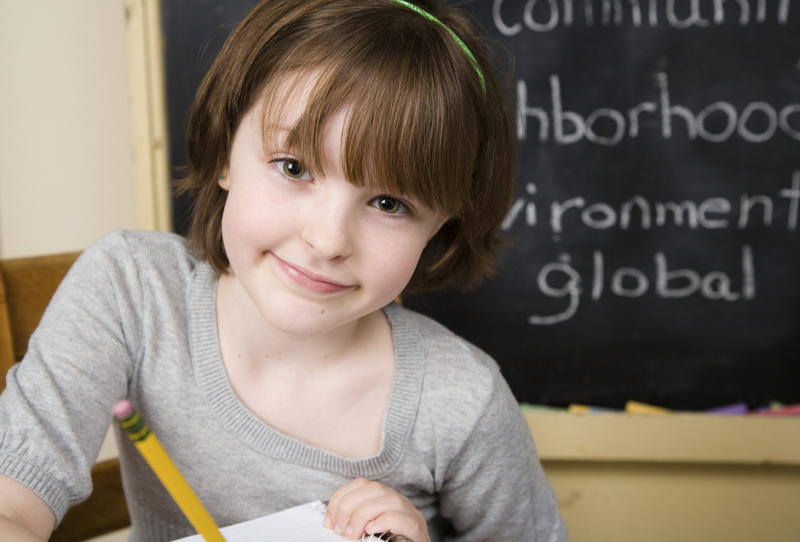 Children who have undetected vision problems often struggle in school and become frustrated. Children often do not complain because there is no pain associated with the problems. Parents can be on the lookout for symptoms of underlying vision problems, and a comprehensive exam by an eye care professional can ensure your child’s eye health. The following checklist can help a parent identify symptoms in a child with vision problems. Child loses his/her place when reading. Head tilts when reading or focusing on an object. Itching, swelling, redness, or burning of eyes. Difficulty remembering or understanding what he/she just read. Holds objects/books very close to face. Words slide together or get blurry when reading. Eyes turn in, up, out, down or drift off center. Eyes jump or move side-to-side quickly when reading. Child closes or covers one eye when reading. Child complains of double vision. Child has difficulty seeing what others clearly see. This checklist is an excellent resource for parents or teachers. Most pediatric vision problems fall into one of four common categories. The most common is nearsightedness, or myopia, which usually develops between ages six and adolescence. Farsightedness, or hyperopia, is a problem which causes blurred vision, headaches, or eyes crossing. “Lazy eye, “may refer to strabismus which can be identified by an eye that turns in or out; in other words, by eyes that don’t move in unison. “Lazy eye” more correctly refers to the condition known as amblyopia. This may occur with or without strabismus and can be corrected if detected before the age of 8 years old. That, in itself, points to the need for careful screening and, better yet, a pre-school eye exam by an eye care professional. McCarthy, Colleen E., "Pediatric Vision Checklist". Optometry Times. AUG 08, 2014. online. August 12, 2014. http://optometrytimes.modernmedicine.com. "Symptoms Checklist". Children's Vision Information Network. online. August 12, 2014. http://www.childrensvision.com/symptoms.htm.